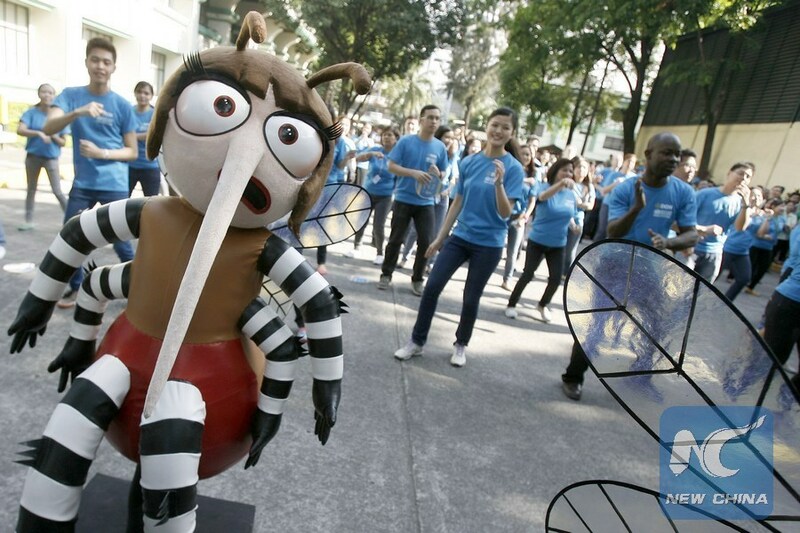 NAIROBI, March 28 (Xinhua) -- Kenyan researchers said Tuesday they have discovered a new medicine to kill malaria-carrying mosquitoes in collaboration with researchers from Britain. "Researchers from the Kenya Medical Research Institute (KEMRI), working in partnership with colleagues from the Liverpool School of Tropical Medicine have shown the large potential impact of a completely new type of antimalarial drug that kill mosquitoes, as opposed to existing drugs that target the parasite, to reduce the spread of malaria," KEMRI said in the statement issued in Nairobi. The team, working with colleagues from around the world, carried out a randomized controlled trial in western Kenya. The results of the study, funded by the Malaria Eradication Scientific Alliance (MESA), are published in one of the world's leading medical journals. Menno Smit of the Liverpool School of Tropical Medicine said the new medicine is a novel type of intervention which could be added to community-wide campaigns with antimalarial drugs, such as mass drug administration and seasonal malaria chemoprevention, to kill both mosquitoes and parasites. "We worked with colleagues from Imperial College London, who used our results in a mathematical model, which predicts that the addition of high dose Ivermectin increases the impact on malaria reduction by potentially as much as 61 percent," said Smit. Yeri Kombe, director of KEMRI, said the trial shows that high dose Ivermectin has an acceptable safety profile and has the ability to kill mosquitoes feeding on humans for an extended period of at least 28 days. "These results are highly encouraging and if validated in larger scale trials, Ivermectin has the potential to play a role in malaria elimination efforts and will address the current challenges of targeting mosquitoes that are resistant to the standard insecticides used on Long Lasting Insecticidal Nets and Indoor Residual Spraying as well us mosquitoes that bite and rest outdoors," he said. According to the World Health Organization, malaria kills one child every 30 seconds, about 3,000 children every day. Over 1 million people die from malaria each year, mostly children under five years of age, with 90 percent of malaria cases occurring in Sub-Saharan Africa.